Western Cape Premier, Helen Zille, yesterday took to Twitter threatening that if those implicated in the Zondo commission of inquiry aren't prosecuted within a reasonable time, she would organise a tax revolt. Helen Zille yesterday took to Twitter threatening that if those implicated in the Zondo commission of inquiry aren't prosecuted in a reasonable time, she would organise a tax revolt. 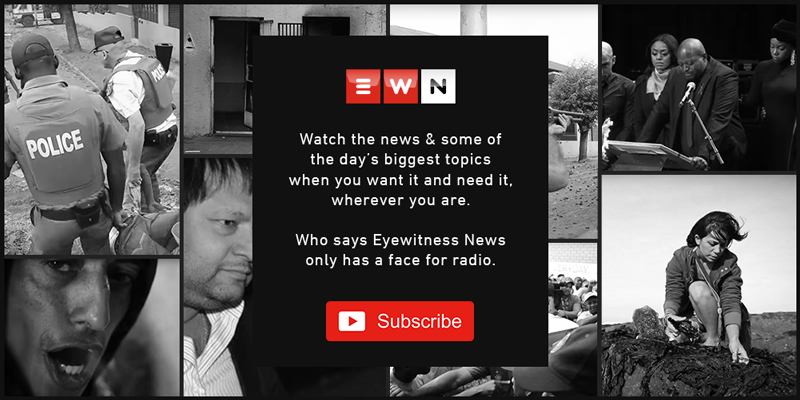 Eyewitness News spoke to South African politicians and sports personalities to find out how they are spending their Christmas Day. Karyn Maughan, a specialist reporter and journalist at Tiso Blackstar, joins Talk Radio 702 host Karima Brown to discuss some of the latest developments on Fikile Mbalula’s story and some of the reports made public by Public Protector Busisiwe Mkhwebane. TalkRadio 702’s Eusebius McKaiser interviewed the DA’s Chief Whip John Steenhuisen and columnist Peter Bruce. The outgoing Cape Town mayor says she doesn’t regret having merged her Independent Democrats party with the country's biggest opposition party in 2010. He was undergoing routine tests for an asthma complaint when he collapsed and died in hospital. Premier Helen Zille has written to Police Minister Bheki Cele after he promised gang-stricken communities in Cape Town that law enforcement will be sharpened. The demands include an urgent allocation of more police personnel to the Western Cape by adding more fixed establishment policing posts in the province. Western Cape Premier Helen Zille has sent a 40-page letter to Police Minister Bheki Cele demanding extra police resources in the province to address various concerns about crime.